After enduring one of the most brutal New York winters in memory, I have accepted a temporary position at ShowBoats International in Fort Lauderdale, Florida, while their managing editor is on maternity leave. 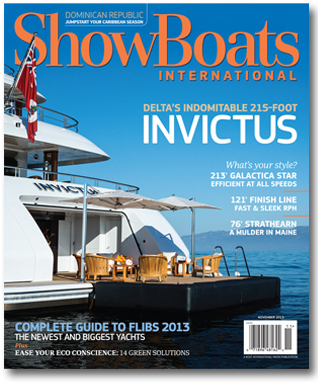 I’m very excited to work alongside editors Kate Lardy and Cecile Gauert, who I’ve walked alongside at many boat shows. So, at the end of March, I’m headed south – way south – for four months to edit and write for the leading superyacht publication. Please send me any story ideas, local dining suggestions or even just encouragement. It’s really all very exciting, but with another snowstorm headed this way now, can I start now? This entry was posted in Uncategorized and tagged ShowBoats International. Bookmark the permalink.